A while ago, I read my sister’s post on soda ingredients, and that got me thinking. It would be nice to some fizzy drink that’s not full of sodium and corn syrup, but I’m not really looking for an expensive and specialized appliance like a SodaStream, and using club soda is just cheating. 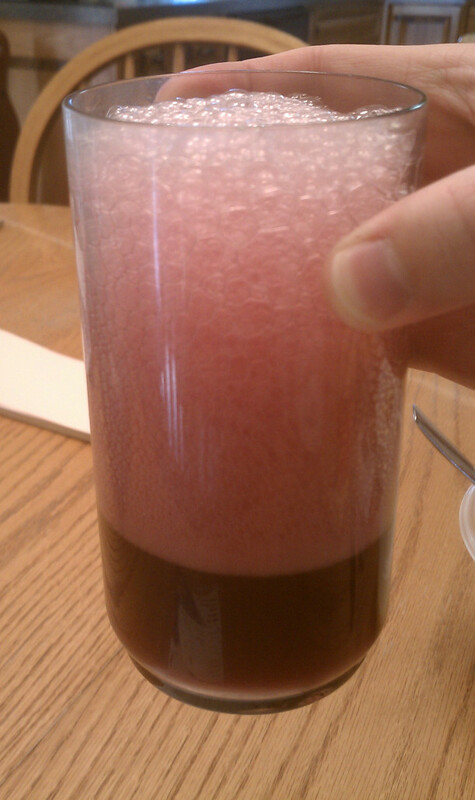 I have previously gotten great enjoyment out of making naturally-carbonated root beer and sarsaparilla, so I said “How hard could it be to use those same techniques to make an all-natural fruit soda? Well, as it turns out; pretty hard, but maybe not in the way you would expect. I began by choosing my flavors. 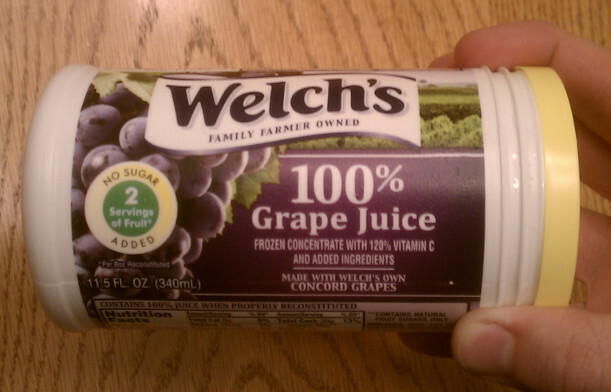 I figured grape would work well, but in the spirit of adventure, I also picked up some orange juice concentrate. The good stuff, not that “15% actual juice” nonsense. 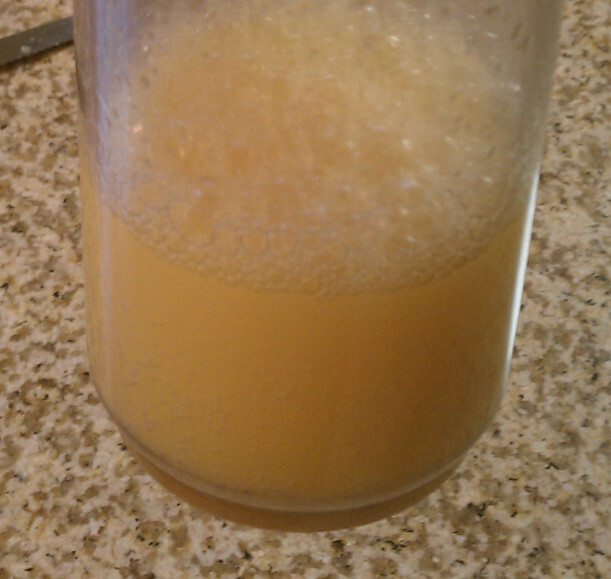 Since the mixing directions promised almost 2 liters of finished mix, I went ahead and used a 2-liter bottle. No half-measures for me! With a bit of extra sugar (it would otherwise be terribly sour) and some yeast, the mix was ready and set aside for a day or two. Once the bottle had passed the “squeeze test,” I put it in the refrigerator and opened it a few hours later. It’s well carbonated, and looks ok. Let’s try a taste. Hmm, that is a strange and not entirely pleasant flavor. Hmm. I’m not sure I like this. Now, I’m not an idiot. I knew from the beginning that the natural carbonation process will change the flavor. After all, it’s basically the beginning stages of fermentation. So, it wasn’t really surprising that my soda tasted like it had been left out on the counter for a whole day, because that’s exactly what happened. The only unknown was how noticeable the taste would be. 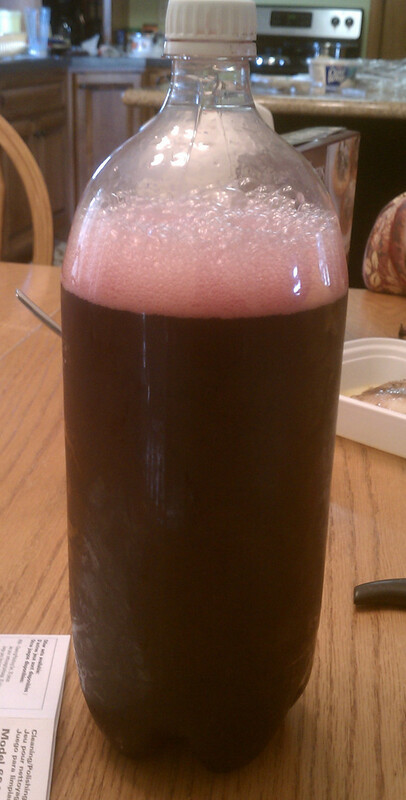 My homemade sarsaparilla would sit unrefrigerated for upwards of a week, and it never tasted like this. This orange “soda” was not really what I’m aiming for. I start planning my next steps. Orange doesn’t work well, but I’m sure something else works better. This carbonated quite well, in fact when I opened it I had to quickly replace the cap before I had a grape juice volcano in my hands. It was a bit troublesome to pour, though, because it foamed up so prodigiously. Well, on the one hand it still has that “seasoned with the passage of time” flavor, but on the other hand I think the grape juice handles it a lot better than the orange did. Yeah, I can get used to this. Now, brave and probably-literate readers, head down to the comments and tell me what YOU are doing…FOR SCIENCE! SodaStream is great if someone gives you one. The grape looks pretty good. Grape is also one of the best SodaStream flavors. I recommend trying this. I’ve been wanting to try it, but I don’t have the nerve yet. Or the energy to try something different.